Forbes released its 13th Best States for Business rankings on November 30, and Virginia ranks 4th in the nation. The Commonwealth does even better when it comes to Regulatory Environment (#1), Quality of Life (#1), and Labor Supply (#3). 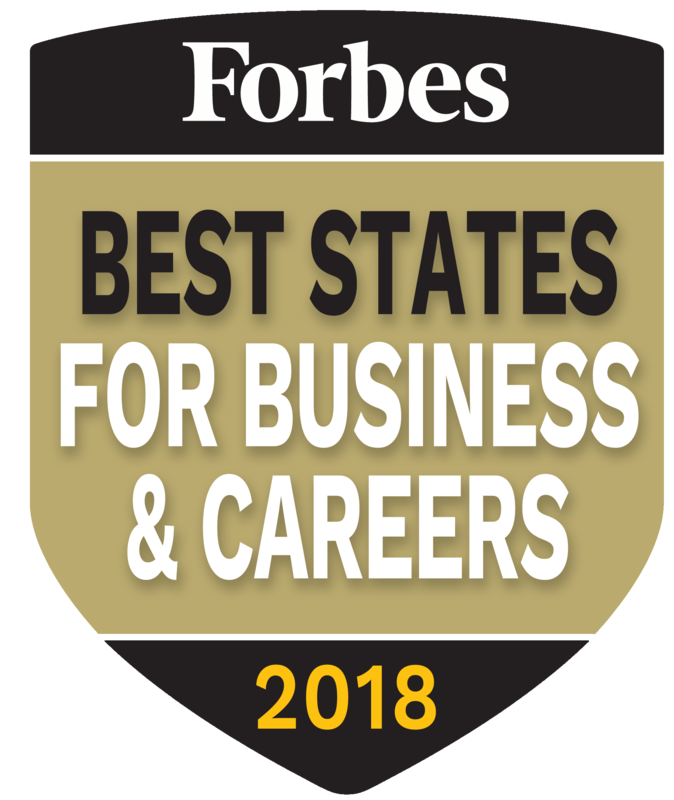 Forbes has rated the business climates of the 50 states annually since 2006, with Virginia finishing five times in the top spot and three times ranking second — from 2006 through 2013. But higher business costs and a declining economic climate have pushed the state lower, Forbes said. But the state has been on an upswing in recent years. “We are moving in the right direction,” said Barry DuVal, president and CEO of the Virginia Chamber of Commerce.